What is the Private Pilot Licence? The Canadian Private Pilot License is one of the most respected Pilot licences in the world today. This is due to the high level of training standards provided to the individuals pursuing the Private pilot licence. Most countries in the world will accept a Canadian Private Pilot on par with their licences; this means that if you wish to hold a foreign licence all you would need to do is present your Canada Private pilot licence, complete the application process and they will issue their equivalent licence.The Canadian Private Pilot licence has set the standard in flight training since the inception of aviation in Canada. 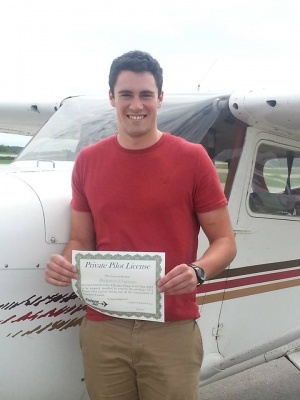 Why choose the Private Pilot Licence? Trying to decide between a Recreational Pilot permit and the Private Pilot licence can be confusing. Which one is better suited to your needs? Why is there a difference in training times? 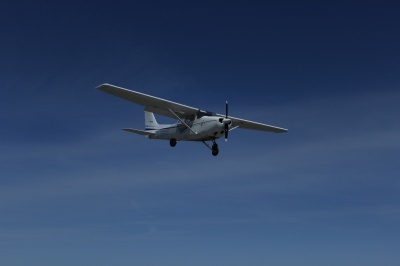 What are the privileges of the Private Pilot licence? What can I do with the licence when I’m done? The Private Pilot licence allows you to fly any single engine aircraft and take as many passengers as that aircraft is designed to allow. Start by asking yourself a few simple questions? Do I want to be able to take more than 1 Passenger? Do I want to fly at night? Do I want to fly to the United States? Do I want to fly for a career? Do I want to want to fly in or above the clouds? Do I want to fly an aircraft with more than 1 engine? Are you currently or are you about to turn 17 years old? If you answered yes to any of these questions then the Private Pilot License sounds like it would be a good starting point for you. If you answered no to any all of these questions then maybe you would prefer the Recreational Pilot Permit. 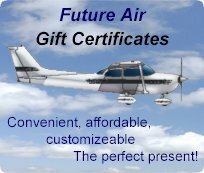 Let Future Air help you decide which program best suits your needs and wishes. In order to fly the aircraft by yourself, also referred to as “Solo”, you must be at least 14 years old. To hold the Private Pilot licence you must be at least 17 years old. If you are interested in the private pilot license, remember that you do not need to be 17 years old when you start the training. If the average pilot completes their license in around 60 hours and you fly once a week, you would complete the license in approximately 60 weeks. This means that even if you are about to turn 16, you can still start training towards the private pilot license expecting that by the time you finish your training you will be 17 years old. What is involved in getting my Private Pilot Licence? The Transport Canada flight training minimum for a Private Pilot licence is 45 hours of in flight training. Future Air’s typical student will be licenced for a Private Pilot licence in the 60 to 65 hour mark. This is based on the average pilot flying on a regular basis to complete. Our 16 years of experience has shown us that this is a realistic estimate for completion of the Private Pilot licence. There is a requirement to undertake a minimum of 40 hours of Ground School, followed by a written examination upon completion of the course. This examination is a 100 question multiple choice exam. The main subject areas for the exam are Air Law, Meteorology, Navigation and General knowledge. The ground school covers all required areas including Air law and airspace, Engines and airframes, Meteorology and navigation, Flight Operations, Flight Instruments and Human Factors including crew resource management and pilot decision making. There are several tests that are involved during training and prior to completing your license. 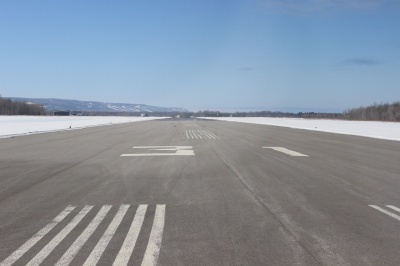 The first exam must be completed in order for you to accomplish your first solo flight. This “pre-solo” knowledge test, also referred to as the “PSTAR” focuses mainly on airlaw and airspace. This exam is a 50 question, multiple choice test. Your flight school will direct you to the PSTAR study guide which contains a total of 200 questions. Once you have studied and reviewed these question the exam will pseudo-randomly select 50 of them. Prior to your first solo flight, you must also hold a Restricted Radio Operators Certificate and an Aviation Medical Certificate. The Radio Operators Certificate will normally be completed as part of the Ground School and consists of a 25 question, multiple choice exam. The examiner may also choose to perform an oral or a practical exam instead of the written exam. Prior to being able to hold the Private Pilot licence you must pass a written examination and a practical test in the aircraft. These are done upon completion of each of the respective areas. All of these examinations are done with us, we have Transport Canada approved examiners in house available for you. This means that you will not have to commute to Toronto or anywhere else to in order to complete any portion of your license. What is the estimated cost of the Private Pilot Licence? Remember that every student learns at a different pace, so the cost provided will always be a ball park figure. With Future Air’s many years of experience we are confident with the following price breakdown. Nominal fuel surcharges may also apply. Taxes are extra.